Some dental procedures require conscious sedation. Typically, sedation is reserved for more severe and invasive procedures, like those performed by an oral surgeon. Occasionally, as with all medical procedures, complications may arise, but for the most part, sedation is a highly effective and safe method to ease the stress and pain of dental procedures. In order to administer sedation, your dentist must have special training. 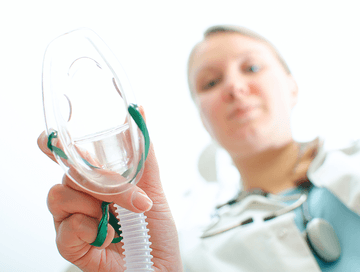 Sedation can be supplied orally with gases or intravenously via a tube in your arm. Some of the more common sedation drugs used by dentists are Phenergan, Lorazepam, and Ativan. There are a number of procedures that require sedation such as implants, wisdom teeth removal and gum surgery. Sedation is an option for any surgery or procedure that is complicated or long. And, in some cases, a patient may request sedation if they anticipate high levels of anxiety. Today, most procedures and sedations are performed in the dentist’s office, but if the the procedure is extensive your dentist may perform the surgery in a hospital. Conscious sedation does not leave any lasting effects. Patients may feel drowsy or a little “out of it” when they wake up, but these lingering feelings should only last a few minutes. In most cases, patients feel completely back to normal within a few hours. If the procedure was long or required a high level of sedation, the patient may feel extremely tired and will need to sleep when they get home. While the sedation wears off quickly, patients should expect some swelling from the surgery itself. You should follow your dentist’s instructions for after the procedure. Most dentists recommend that patients resume their regular dental care regimes as soon as they start eating again. Often your dentist will prescribe an oral bacterial rinse to help speed up the healing process and lessen any discomfort you may have. This rinse also helps prevent infection.